Reading a Diane Chamberlain book is like snuggling under a blanket on a cold winter's day. I've read a bunch of her books and even the ones that aren't my favorites are still good. The Silent Sister was no exception. It was a story that definitely pulled me in. Riley returns home to clean out her family home after her dad passes away. Riley isn't The Silent Sister, but she is a weak sister. She is easily pushed around by her father's girlfriend, her recluse brother, and some squirrely neighbors who seem to feel a sense of entitlement towards her father's property. For some reason, the friends and neighbors decide that her father's death is the perfect time to tell her that she is adopted and that her sister, who she has always been told committed suicide, actually took off after murdering her music teacher. The book follows Riley's search for the truth, interspersed with her sister, Lisa's, story. The story culminates in their collision and reunion, after some pretty major turns in the road. Chamberlain always has a wide cast of characters, and sometimes the best part of her books is figuring out who has ulterior motives. Great characters, great story, great ending. 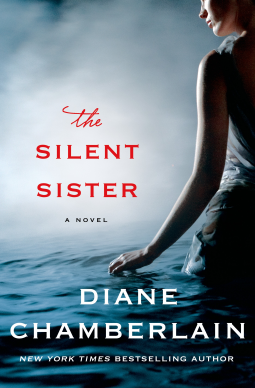 I was given an ARC of The Silent Sister in exchange for an honest review. Dean Koontz.....not so scary anymore?